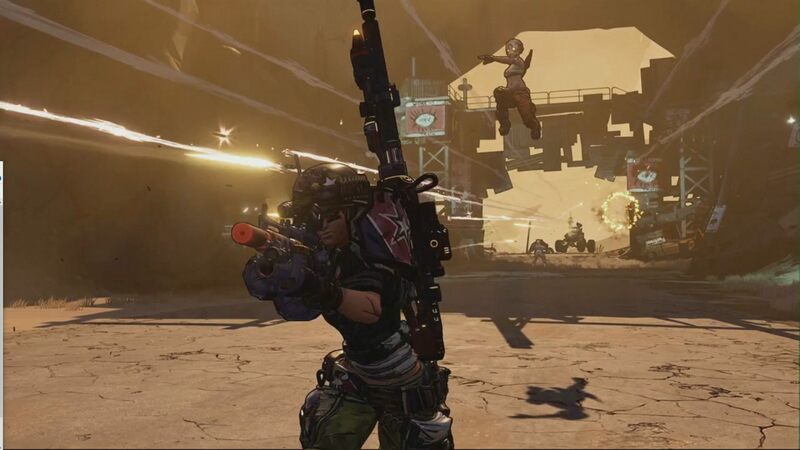 The world premiere trailer for Borderlands 3 showed off a lot of gameplay, but closed with the real zinger: Over 1 billion weapons. And a mech? Long-awaited and highly anticipated, Gearbox Software has finally officially introduced Borderlands to the world. During the PAX East 2019 panel, Gearbox Software kicked off the first day of the event with the world premiere debut gameplay trailer for Borderlands 3. 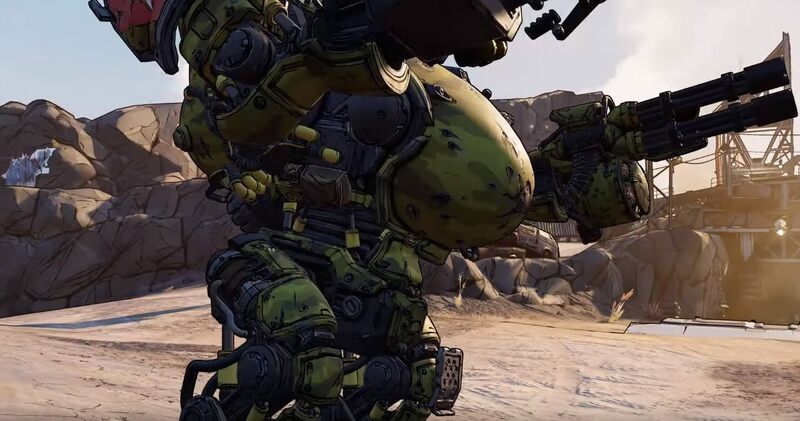 The trailer not only shared that over one billion guns will be in Borderlands 3, but it also followed that up with a quick shot of a giant mech. We don't know if it will be pilotable, if it's tied to one of the Vault Hunters, or if it's just an evolution of the mech enemies from the previous games, but one could hope so. Watch the full trailer above. Just in case you missed the story from a while ago, one of those weapons out of over one billion could be Elon Musk's flamethrower produced by The Boring Company. This would be an intriguing crossover with the real world, but maybe Gearbox could initiative crossovers with other properties published by the company or from other studios. Share your ideas and tell us what weapons from other fictional worlds or real-life entities you'd like to see in Borderlands 3. Gearbox teased onlookers with a stylized image previously, only hinting at a potential reveal for the long-awaited third main entry in the Borderlands franchise, but hit gamers soon after with the Mask of Mayhem trailer. Today, March 28, the Gearbox crew hosted a PAX East 2019 panel where the game as officially introduced to the world. We've written out all of the tidbits that Gearbox shares as the stream goes on, so if you missed the PAX East 2019 panel and want to see what the team shows of Borderlands 3, you can check out the PAX East 2019 landing page. Be sure to bookmark it too, because there's going to be a lot of news coming out of the event that started today.